Perhaps the most important tool we have to reduce the gender pay gap is transparency. This includes transparency about the specific compensation and benefits for a position. When setting salaries, employers should compare their compensation package to similar positions within the field, consider cost of living in the geographic area, and assess the level of experience required. By being transparent about the compensation before interviewing candidates, employers can avoid contributing to the wage gap as a result of being influenced by implicit bias (see below) or by female and male candidates’ different negotiating styles. Also, advertising the compensation package clearly to employees can best determine if the position is right for them. This helps vet candidates from the beginning of the process without wasting the employer’s time. In contrast, asking prospective employees to ‘name their price’ or basing salaries on their previous salary, rather than using the appropriate salary level for the current position, can reinforce gender disparities, which can then follow employees throughout their career and exacerbate the gender pay gap. Transparency among employees is also an important factor in addressing pay inequality. Institutional culture or contractual restriction can prevent transparency in the workplace. Employers should not discourage employees from discussing compensation among themselves, if they so choose. Although salary may seem like a private, personal topic, secrecy prevents employees from knowing a disparity exists and thus allows it to continue unchecked. Data: How do I determine the appropriate salary for a position? The professional associations within the Reform Movement are all available for consultations for your hiring committee or managers to compare salaries for similar positions within the field. These organizations include: American Conference of Cantors (ACC), Associations of Reform Jewish Educators (ARJE), Advancing Temple Institutional Development (ATID), Central Conference of American Rabbis (CCAR) (note that the CCAR 2017 salary survey is available publicly), Early Childhood Educators of Reform Judaism (ECE-RJ), National Association for Temple Administration (NATA), and Program and Engagement Professionals of Reform Judaism (PEP-RJ). 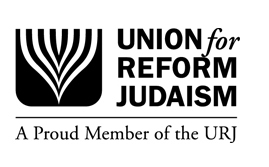 The Union for Reform Judaism (URJ) can also be consulted by contacting the Consulting & Transition Management team. Contact Rabbi Janet Offel for more information. Cost of living in different geographic areas should also be considered. While you are the best judge of local cost of living, there are also online calculators that can be helpful. There are numerous websites, such as bestplaces.net and payscale.com, which can help you access standard salary levels for similar professional positions in different communities, which may be helpful to your research. The Reform Pay Equity Initiative’s executive summary of the salary analysis for Reform Movement Jewish professionals is also a useful tool for congregational use. Setting the exact salary or a narrow salary range in advance is a best practice to avoid being influenced by bias and to create transparency in the hiring process. Whether a prospective employee is being hired by one person or a committee, it is important to give the employment stakeholder(s) training. Start by using this toolkit to educate them about the wage gap, make sure that they have done an implicit bias review, assess the job description to ensure biased language is not used, encourage them to review CVs without looking at names or photos, and review the types of questions/comments which should and should not be offered during an interview process and salary negotiation.